We’re incredibly pleased to announce another series of exciting awards for Ableforth’s, this time from the Gin Masters 2018. The awards recognise exceptional expressions, and Ableforth’s Bathtub Gin-Navy-Strength certainly proved to be just that by coming top of both the Contemporary and Navy Strength categories, with judges commenting on the drink’s ‘delicious nose’ and ‘oaky, vanilla’ profile. The Sloe Gin was also a hit, winning a master medal in...you guessed it, the Sloe Gin category, where judges were impressed with its ‘tannin and fruit balance, which added another layer to the drink’. What a terrific haul! But don’t go anywhere just yet, because that’s not the end of this winning streak! 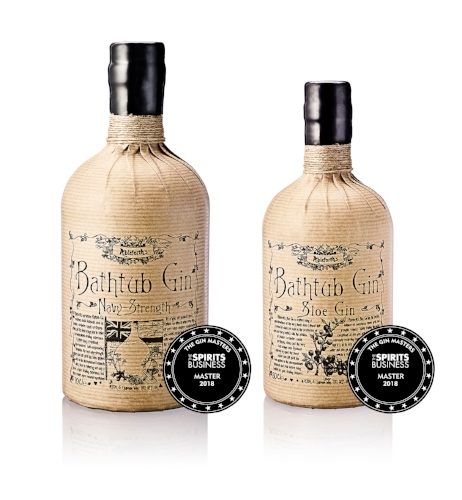 Gold medals were awarded to Bathtub Gin – Cask-Aged, Navy-Strength in the Navy Strength category, while Bathtub Gin picked up shiny gold medals in both the Contemporary and Super Premium categories. Ahh gin, lovely lovely gin. And lovely awards. What lovely news.